On Martin Luther King Jr. Day at Bates, words and terms related to social justice come fast and furious. Some of their meanings are self-evident (perhaps deceptively so). Other terms dig deep into the latest thinking on the intersection of issues of race, class, gender, and sexuality in America. Here are six we heard during the sessions on Monday, Jan. 21, and how they were used by presenters. In one session, criminologist Chad Posick talked about how race, gender, and geography intersect in criminal sentencing. While it’s well-known that black people tend to receive harsher sentences than whites who have committed comparable crimes, little is known about how those disparities play out between race and gender and across rural and urban settings. Black females in rural areas were more likely than their urban counterparts to receive a sentence including incarceration. Posick and co-author Brenda Blackwell have found that black females are sentenced to prison at a higher rate than white females. This deceptively simple word was the focus of a panel discussion featuring four Bates historians: Alexis Baldacci, Wes Chaney, Margaret Creighton, Joe Hall, and Patrick Otim. 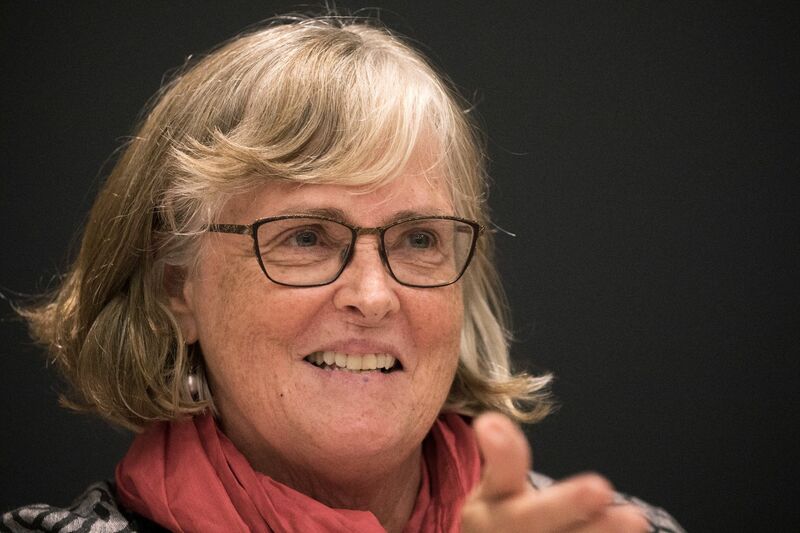 One definition of “activism” is “doing something to change something,” said Creighton. When it comes to academic writing, “we are trapped, to some degree,” she said. But when it comes to academic writing, “we are trapped, to some degree,” she said. 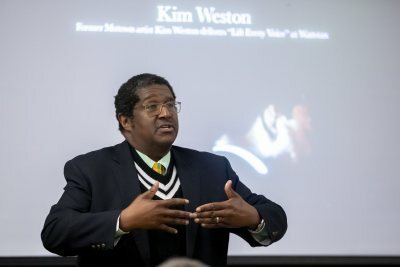 This term was used in a session led by professors Charles Nero and Dale Chapman as they looked at the song “Lift Every Voice and Sing,” popularly known as the Black National Anthem. Nero explained that the phrase was coined by scholar Evelyn Brooks Higginbotham and came to describe how “black activists always sought to put their best foot forward” to counter negative black stereotypes. Of the two, said Chapman, Motown has always been known for engaging respectability politics in order to “appeal to a crossover audience” of white consumers. An example was the label’s sponsorship of Wattstax, a benefit concern in Los Angeles in 1972 on the seventh anniversary of the Watts riots, which featured a funky, soulful, improvisational, rendition of “Lift Every Voice and Sing” by Kim Weston. 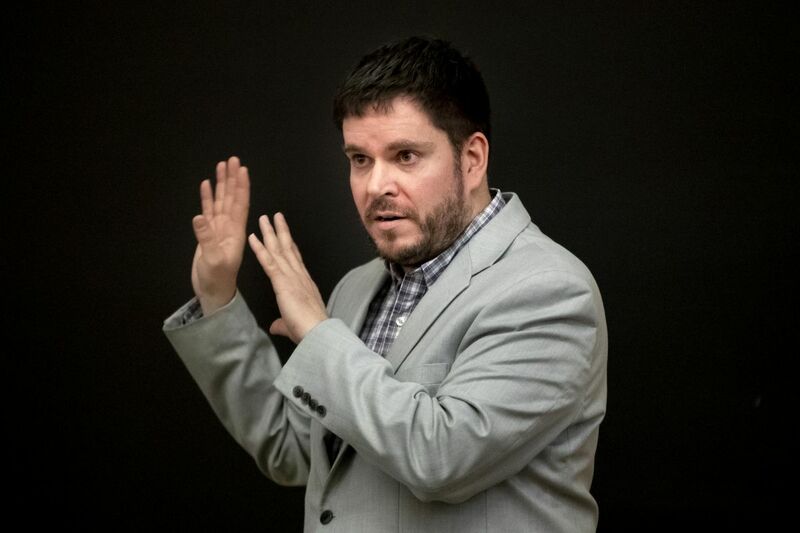 Nero is the Benjamin E. Mays Distinguished Professor of Rhetoric, Film, and Screen Studies. Chapman is an associate professor of music. Both are members of the Program in African American Studies. This term was also used in Nero and Chapman’s discussion, and was coined by scholar Imani Perry, author of the book May We Forever Stand: A History of the Black National Anthem. 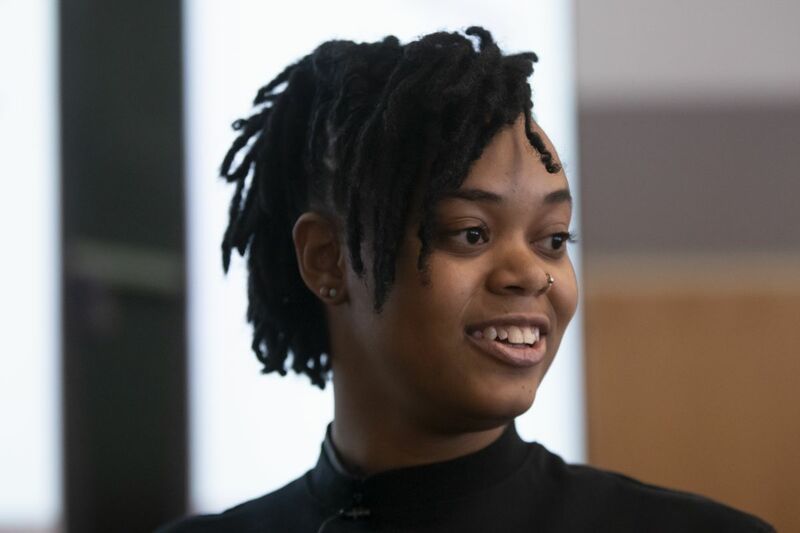 AK Wright ’17 used this term in a presentation that argues that America’s racially biased criminal-justice system — one that particularly harms black transgender individuals — can only be solved through its abolishment. 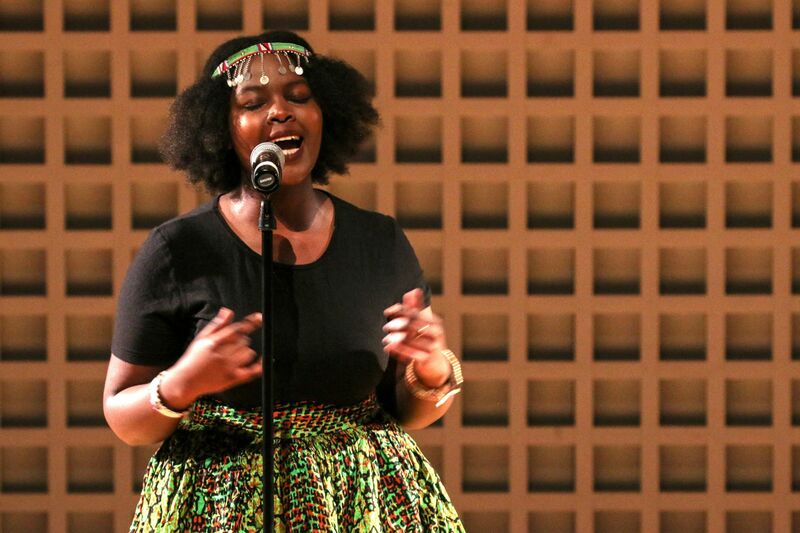 A doctoral student in feminist studies at the University of Minnesota, Wright uses the tools of decolonial feminism to “connect the legacies that we see in race, gender, and sexuality today” back to the origins of slavery in America and ideas about gender established by the continent’s white colonizers and those who profited from colonization. This word was in the title of a session led by Trisha Kibugi ’21 of Nairobi Kenya. 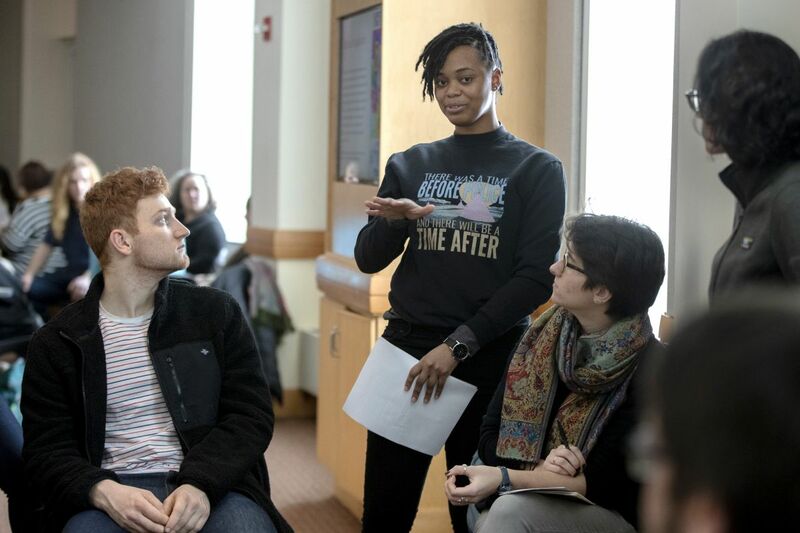 The workshop “Effective Allyship” taught participants that being an ally — which in this case means to support LGBTQ+ individuals — needs to be more than “signing a petition and giving yourself that pat on the back,” in the words of the session description. Being effective at anything takes practice, the group learned. 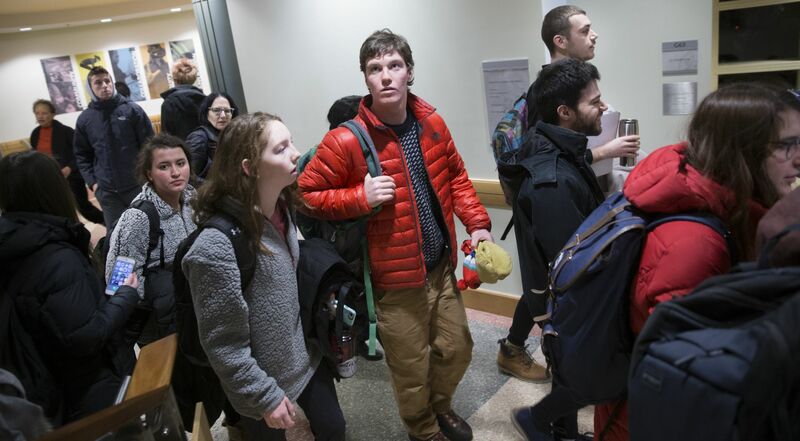 “You have to have real conversations,” said Kim Trauceniek, associate dean of students for campus life. Having a real conversation means overcoming fear of making a mistake, because we all do. “I get things wrong every day,” Trauceniek said.